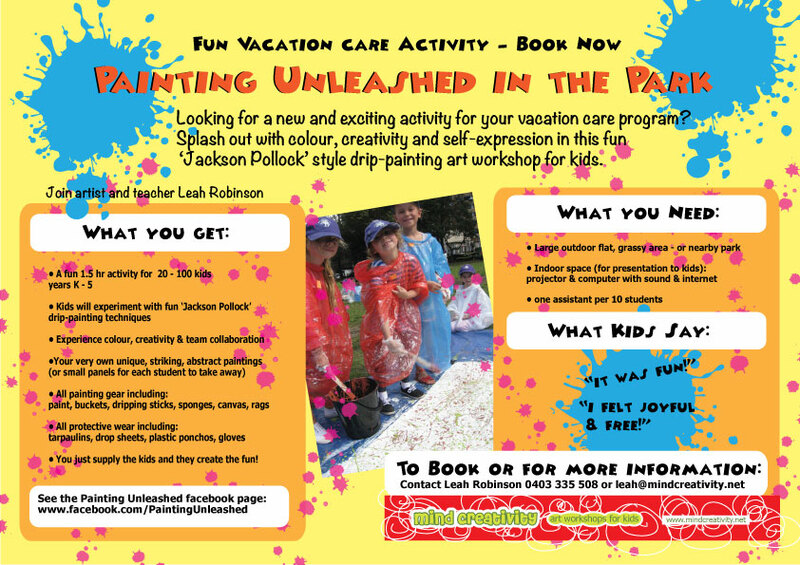 Painting Unleashed – Wild – Abstract – Free – participate in a live jackson Pollock style drip-painting activity. Ideal for Kids parties and holiday activities. Kids have lots of fun getting creative and get to take an artwork home. All materials and protective wear supplied. This is an outdoor activity. 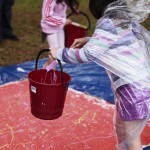 It can also be held as a mess-free indoor activity. 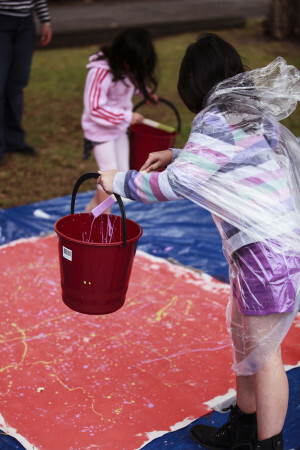 “Painting Unleashed in the Park” is fun collaborative art activity for kids. They experience colour, creativity and team collaboration. 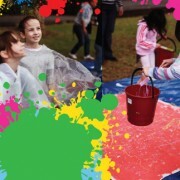 Its a fun and easy activity which produces striking art outcomes. 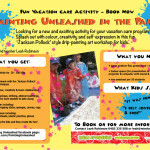 Contact us to Book Now for your OOSH Vacation program or children’s birthday party to remember!